E-commerce firm Flipkart has sought to assure its 150,000 sellers of operational continuity, amid fears of Walmart’s private labels hogging digital shelf space as a result of the US retailer’s recent investment deal. Chirag Haria, founder of Aarogyam Energy Jewellery, a top jewellery seller on Flipkart, said the seller community is somewhat worried about Walmart’s private labels. Sellers have long been at loggerheads with online marketplaces Flipkart and Amazon on several issues including discounts sharing, commission margins, and alleged edge afforded to in-house vendors. Although many sellers that TechCircle spoke to are excited about the global market opportunities and sourcing afforded by the Walmart deal, some are equally wary of the US retailer’s global strategy to rebrand and sell white-label products, and to aggressively supply its own private labels. 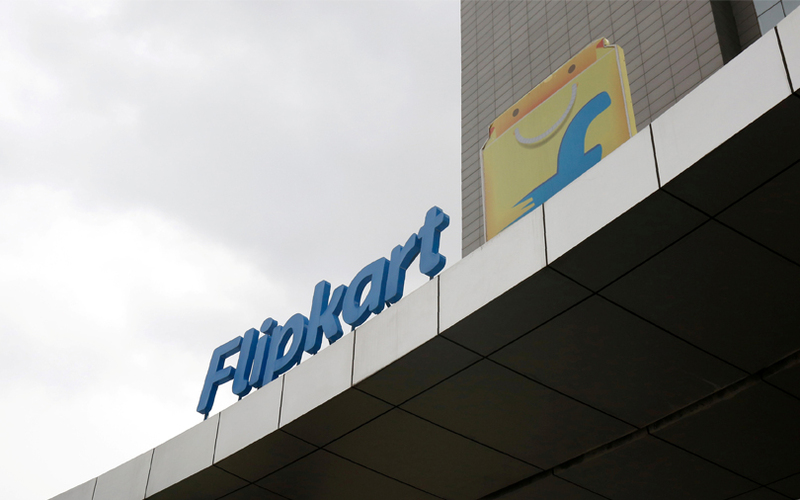 In order to allay these fears following the hotly-anticipated $16-billion deal announced on Wednesday, Flipkart chief executive Kalyan Krishnamurthy reached out to the seller community, saying there would be no changes in operating processes as a result of the investment. “Flipkart will continue to be a marketplace where sellers from around the country can connect with customers,” he added. He further assured sellers that Flipkart and Walmart would maintain distinct brands and operating structures after the investment. “We will keep making deep investments in technology, innovation, supply chain, and business processes to grow the e-commerce market even more in coming years, with the aim to increase the number of people shopping online and the average spends,” he said. Reacting to the CEO’s statement, Jitendra Rawal, a seller on Flipkart since its early days, said his community was happy with the assurance. Rawal is co-founder of RHV Enterprise Private Limited. According to Sanchit Vir Gogia of Greyhound Research, the deal would open up Indian opportunities for global Walmart sellers while mom-and-pop (kirana) stores and Flipkart’s private labels could reach a global market via the US retailer. This will offer Flipkart-Walmart combine significant firepower to compete with Amazon’s Global Store, which opened in October 2016 in India, giving local customers direct access to over four million global products. Haria, a top jeweller on Flipkart, said, “We expect Walmart’s experience of deciphering customer tastes and trends to come in handy for the sellers.” He added that the categories most likely to benefit from the deal are fashion, lifestyle and home furnishing. “We expect that the deal will force other marketplaces to become more competitive in terms of customer pricing as well as make them rethink about the heavy operational costs borne by sellers,” he said. While welcoming the deal, a spokesperson for All India Online Vendors Association (AIOVA) told TechCircle that the new ownership should seriously look into removing discrimination against sellers and solving conflict of interests on the marketplace. He also advocated for the establishment of a government regulatory body to protect the interests of the sellers. The spokesperson’s comment comes in the wake of a recent change to Flipkart’s discount-sharing mechanism, under which the e-commerce giant would now fund 40% of every discount-based sale while sellers would have to pay for the remaining 60%. “When Flipkart is bearing 100% for (in-house label) WS Retail and other related parties like Flipkart SmartBuy, why only bear 40% for other sellers,” the AIOVA spokesperson had said in a recent conversation with TechCircle. “Either they stop giving discounts or treat everyone the same when it comes to discounts and reimbursements. If there’s a level playing field, sellers do not need discounts at all,” the spokesperson said.